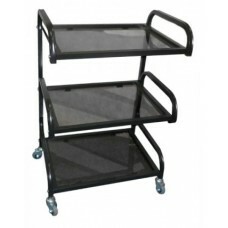 Cosmetic trolley S-3 BLACK, buy at the price of 60 in Europe. 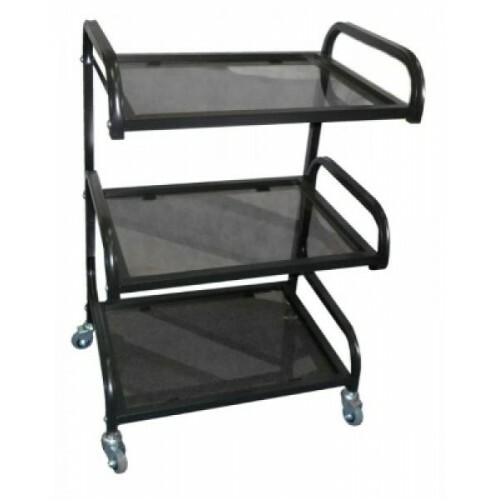 The cosmetology trolley S-3 Black is an excellent example of brand products "European Medical Systems", has been successfully competing on the world market for a long time. 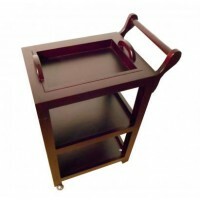 The trolley is a three-tiered open type; its shelves have size 460 360 mm, made of high-strength frosted glass, not afraid of any wet cleaning or disinfection by aggressive substances. Strong square steel sections provides bearing capacity and stiffness, they are made of the same material as low ledges of shelves and side fences. 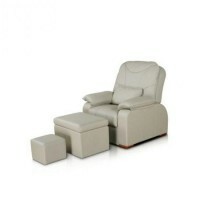 Medical wheels give the trolley a high mobility. Model S-3 Black has not only amazing practicality and functionality, but also particular aesthetic, causing a win combination of elegant black, frosted glass and elegant shapes.